Yes, it's a Wings Christmas-time! 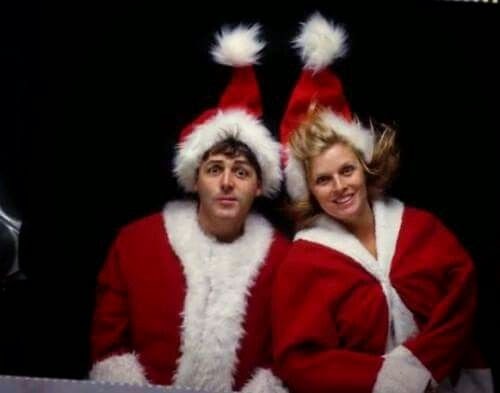 Paul McCartney and Wings doing Wonderful Christmastime are in fine form. This is from 1979, the final incarnation of Wings. This is the time of "Wonderful Christmastime," which isn't really a Wings song (it's actually a Paul McCartney solo tune), though they did the video for it. Basically, Paul McCartney went off, did "Wonderful Christmastime" on his own, then hired his band to make a video for his song. Here is the video, which is quite good, especially for pre-MTV. Is "Wonderful Christmastime" a "Wings" song? Only sort of. Paul wrote it and performed it alone while doing the same with "McCartney II." However, "Wonderful Christmastime" was not on "McCartney II." 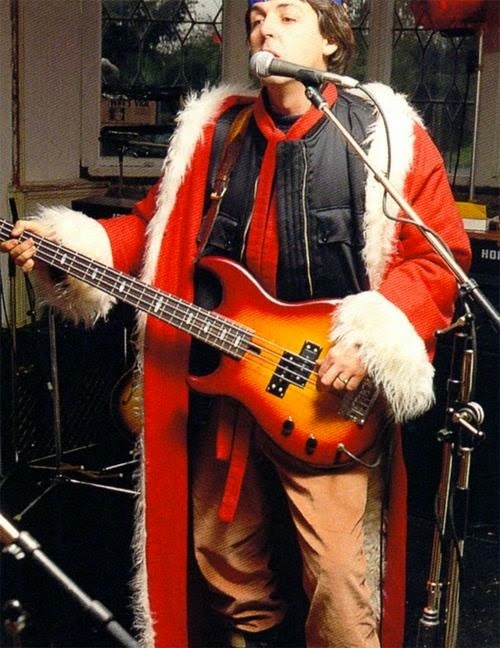 Paul McCartney and Wings filmed "Wonderful Christmastime" at an inn somewhere in West Sussex, England. Keeping the rights completely to himself was a shrewd business move, as "Wonderful Christmastime" became seasonal that still gets airplay to this day during the holiday season. It has earned him a ton of money, supposedly around $15 million. "Wonderful Christmastime" did not appear on any Wings albums until the 1993 reissue of "Back to the Egg." Putting "Wonderful Christmastime" on "Back to the Egg" was a weird choice since by rights it should go on "McCartney II." However, because of the Wings band members in the video and the fact that this was released well before "McCartney II," people naturally associate "Wonderful Christmastime" with Wings instead of Paul's solo material. In that sense, it is in the same boat as early hits like "Uncle Albert/Admiral Halsey," which had absolutely nothing to do with Wings, but which many people always consider a Wings tune. Either you enjoy "Wonderful Christmastime" or you don't. Many prominent artists have covered it, including Amy Grant, Demi Lovato, Kelly Rowland and Chicago, so it can't be that bad. It is just a fun song, nothing profound. "Wonderful Christmastime" makes the holiday charts in Billboard every year, usually in the low teens. It's a perennial and continues to sell. 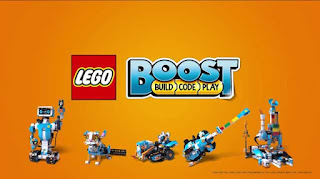 The general public enjoys it, so it continues to be played every year, starting at Thanksgiving and ending on Christmas.